This week HTC announced their latest One smartphone, also known as the M8. A new DuoCamera imaging system, optimised design, upgraded hardware and software are on board, making this a substantial upgrade. Let’s take a closer look at what was announced. The new phone continues the design that HTC established with the previous One, with a curved aluminium unibody and dual front-firing speakers. The body is a little curvier now, fitting better in the hand but becoming a little harder to hold onto. A new microSD card slot allows for up to 128 GB of extra storage, while a nano SIM slot provides a little extra space for the new components inside. The new One comes in three colours – gold, silver and gunmetal. HTC have upgraded almost every hardware element in the transition from M7 to M8. This starts with the display, which has been moved from 4.7-inches to the 5-inch standard for 2013. The new phone has the latest Snapdragon 801 quad-core processor, 2 GB of RAM, 32 GB of internal storage (plus microSD) and a 2600 mAh battery. The One (M8) is running Android 4.4.2, the latest version of Google’s OS to be released. They’ve layered their own UI on top of this, called Sixth Sense (as it’s the sixth version). Sense is flatter and more sensible than it’s been in the past, with fewer needless changes. There are no major new apps, but mainstays like BlinkFeed and SenseTV have seen some improvements. The big upgrade on the new One is its new imaging system, called DuoCamera. It’s named this because HTC have added a secondary depth-of-field camera above the primary rear shooter, allowing post-shot refocusing. The effect works well (sometimes), and should also improve image quality and focusing speed. The front-facing camera has also been upgraded, to a five-megapixel wide-angle unit. Samsung and Apple have both done well to make great first-party accessories for their phones, but HTC has been lacking in this field. This time around, they’ve done well though, with a beautiful HTC One M8 Dot View case. 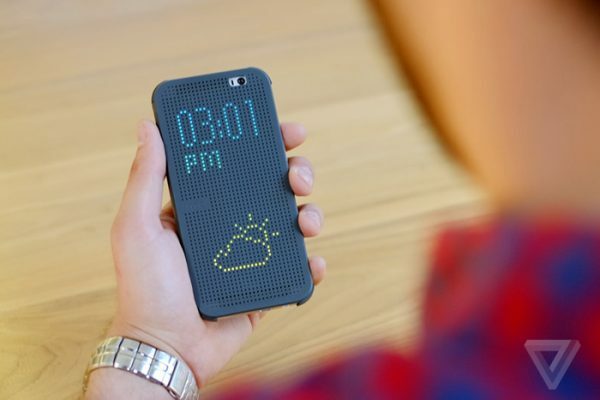 The case has a grid of dots that allow light to shine through, forming a rudimentary second display for the time, notifications and the weather. There are a good host of other first and third party HTC One M8 cases too. 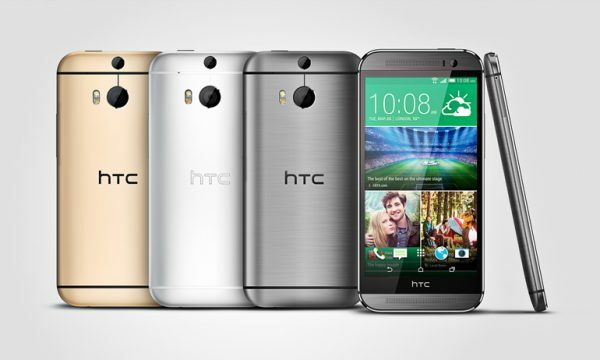 The HTC One (M8) looks like a considerable upgrade over its predecessor, but it’ll still be at the mercy of the market and its (deeper pocketed) competitors Apple and Samsung. For the good of the Android market, I hope it succeeds! What do you make of HTC’s efforts? Let us know in the comments below. Thanks for reading the article and have a good week. Next story Why Should You Buy A Gaming Keyboard?